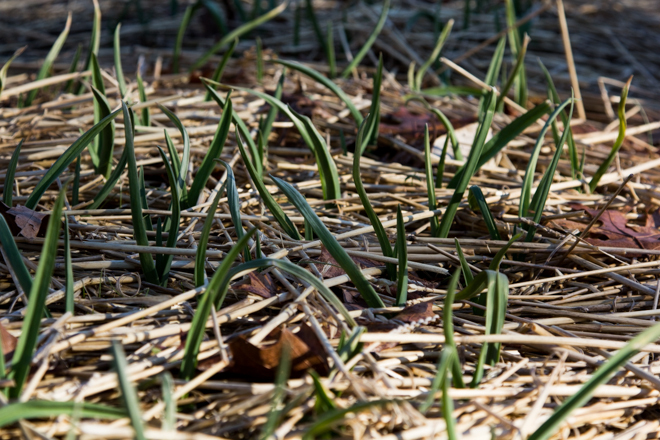 It’s not uncommon for some garlic to send up green shoots during winter. Don’t be concerned if the garlic you plant in the fall decides to send up shoots during winter — it’s actually a good sign and could bode well for their growth in the spring. It’s a little disconcerting to see green growth when you know more freezing weather is on the way but it’s just a natural part of the growing process for some garlic varieties, especially if you’re located in a warmer climate. As you’ll discover quickly once you start growing garlic, each variety (and even each plant within a variety) is different and they do things on their own schedule. They’re also pretty hardy plants and can tolerate a lot, so they’re far from delicate hothouse flowers that must be pampered and carefully monitored and watched. 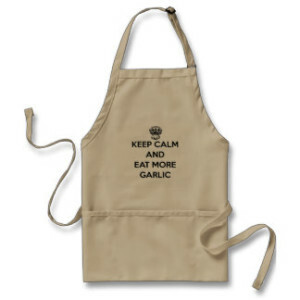 The green shoots that garlic may send up during winter typically brown or die back when freezes hit or they can simply hang around, with the plant slowing its shoot growth until spring arrives and they kick it it into high gear. Don’t worry if some varieties produce green shoots while others don’t. Or even if row of one variety does and the row of the same variety next to it doesn’t. 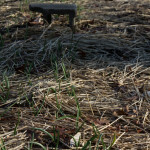 As long as you plant and mulch your garlic in fall and it is in the ground for a good dose of vernalization, it’ll all work itself out in the spring. 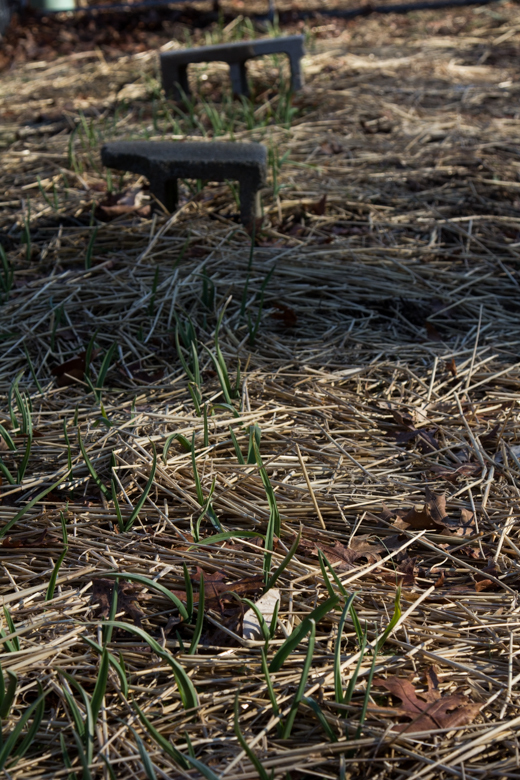 Creole Red garlic shoots in January at our middle Tennessee farm.